I am striving every day to live a more frugal lifestyle. Seriously, I am! But it can be really hard. A new sweater from Nordstrom, that latest show on HBO… there is always something to entice us to spend money. 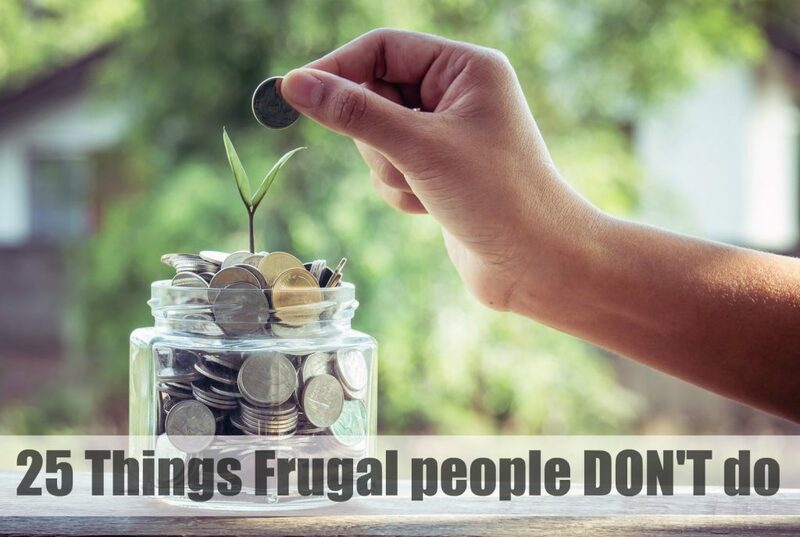 If you are anything like me, you need this list of 25 things frugal people don’t do! Everyone has a different reason for wanting to be more frugal. Maybe you are trying to save money and accumulate wealth? Or maybe you just want to work less and be able to live within your means. Whatever the reason, you don’t need to be a penny pincher to be frugal. You can live a frugal life quite easily. A lot of our money habits are given to us as kids. We learn from our parents. So if you had frugal parents who were good at saving, it might come more natural to you. Others, it may not. Being frugal doesn’t mean having to be cheap. It’s more of a creative way to live without unnecessary expenses. Ah! But what are unnecessary expenses? Technically, if it’s not food, water, clothing, and shelter… it’s not necessary. 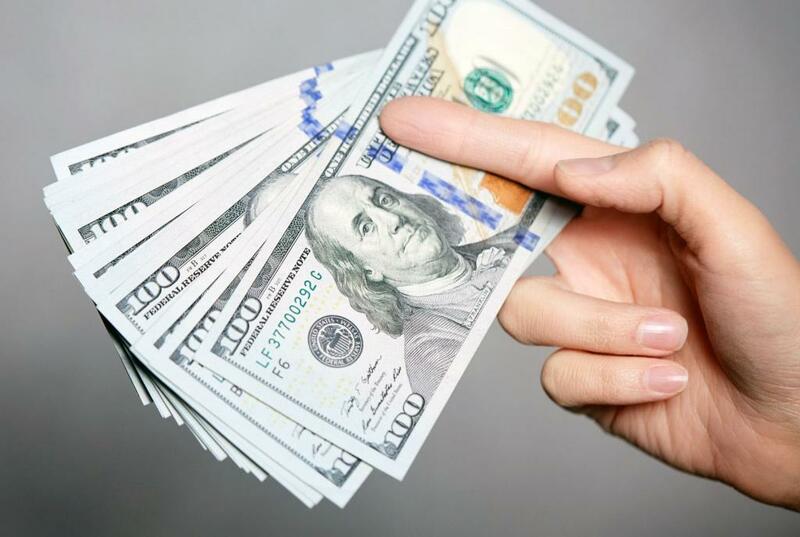 You might also be interested in How to Easily Pay off Debt Fast! I can’t tell you how many times I’ve heard people say “But I NEED cable… my favorite shows are on it!” Um, no. Sorry. Doesn’t count. 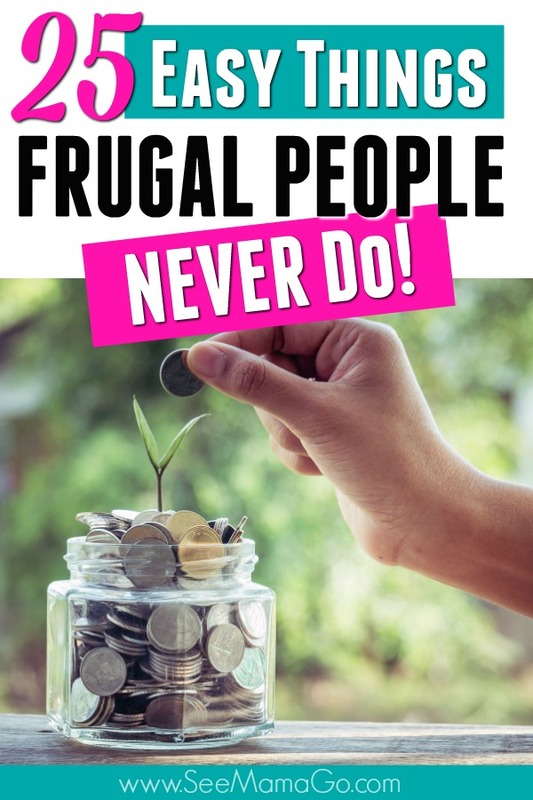 If you are someone who is having a hard time distinguishing between what’s necessary and what’s not, or if you just want to see what traits a frugal person has to help them live a frugal lifestyle… then this list is for you! You can’t be frugal without sticking to a budget. You just can’t. Frugal people know how to budget and stick to it! And they budget for everything. Necessary expenses, unnecessary expenses, and unplanned events. One thing frugal people definitely don’t do is spend money every day. Because they stick to a budget, they only spend when necessary. A frugal person knows how to get a good deal. They are proud of never paying full price for anything. Whatever it is, they find a way to get a discount on it. Because they stick to their budgets, frugal people buy things they plan out. So they rarely if ever make impulse buys. They know what they need and they search for the best kind at the best price. No matter how long it takes them. One habit I’m happy to say I do practice. As soon as my paycheck hits my account, the first thing I do is move some money to savings. Even if it’s a bad month and I can only move $25… something always goes into savings. Frugal people don’t pay full price and restaurant meals are no exception. They are all overpriced and unnecessary. So you don’t often see a frugal person eating out, or ordering from Starbucks. Groceries can be expensive. So to live frugally, you can’t waste food. Frugal people make a big meal and eat every leftover. They don’t waste anything they cook and they find new ways to use other food items. You won’t see a frugal person with a designer bag or buying name brand at a grocery store. They realize very much that generic saves a TON of money and is often of the same quality. Do you want to be frugal? Always compare prices. Do your research and find the best deals. A frugal person will always hunt around for the best bargain. My mom hoarded items in our pantry just because they were on sale. But that doesn’t save you money if you don’t use them. To live frugally, you only buy what you need, not what’s currently on sale. This one breaks my heart and I am very guilty of. But frugal people rarely shop at the mall. There is nothing in any store at the mall that you NEED. It’s all name brand stuff you want. When they do shop, the clearance section is the first place they go. That’s where the best deals are. They buy ahead a season to get the best deals on clothing, and they shop for gifts here too. If only I had a dime for every time I get yelled at for leaving lights on as a kid! Frugal people conserve energy and save tons of money by not wasting water, or heating or cooling the home too much. What you will never see frugal people do is drive a gas guzzler. What a way to waste money! Living frugally means saving money on things like cars and gas too. We grew up frugally with an old-fashioned TV antenna that got us free local stations while my friends were all watching MTV. You don’t have to sacrifice as much today. When you can cut a $150 a month cable bill down to $10 a month Netflix bill… it’s almost a no-brainer. Frugal people rarely use credit cards. They live within their means so they are always able to pay with what they have. Credit cards are seen as buying an item you don’t have money for.. something frugal people never do. Paying a bill late means paying a late fee. Totally unnecessary. Frugal people don’t like paying for unnecessary items and there is nothing more unnecessary than a late fee. Sounds mean, doesn’t it? Relax! They spend money on their kids, they just don’t waste it. Frugal parents are just less likely to give in to kids “wants” and teach them more about “needs”. Because frugal people don’t impulse buy, and only buy what they need, they almost always shop from a list and stick to it. Sticking to a list reduces an impulse buys and wasted money. I’ve never had just one job at a time. And most frugal people don’t either. They work side jobs, part-time hustles, basically whatever it takes to earn extra income. Packaged and pre-made food always cost more. It’s a known fact. Frugal people are more likely to buy fresh ingredients and make things on their own. 22 – buy in small qualities. I’m sure you’ve been to Costco. You’ve seen what great prices they have when you buy in bulk. If you can buy something in bulk, guaranteed a frugal person has purchased it. You will often see frugal people shopping at any discount store they can find. Since they tend to stay away from malls, this is where they go to find the best deals. Whether it be food, clothing, or entertainment. Grocery shopping at the last minute is about the same as not shopping with a list and not planning something in advance. A big no-no for frugal people. One of the most defining characteristics of a frugal person is someone who knows what is necessary and what is not. They can distinguish the two and don’t get caught up in the ‘wants’. Is the Frugal lifestyle for you? Do you have any of the bad habits listed above? Don’t beat yourself up. You can still live a pretty frugal lifestyle with most of these traits. But now that you can identify what habits a frugal person has… it’ll be easier to try to implement them into your own life! *I’d love to hear from you in the comments below! What characteristics do you have that make you live a frugal life? On my husband’s checkbook he has a question taped. “DO I WANT IT OR DO I NEED IT?” it makes us have a second thought. We also do not spend our change, if an item is $1.60 we always pay in dollars and put the change into a jar for future deposits.